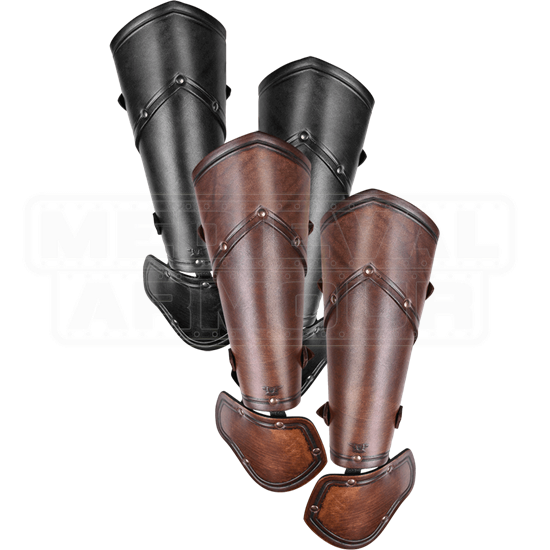 Many unforgettable adventures await the warrior that includes the Sigfrid Leather Demi Gauntlets in their defense. Whether you battle within a LARP realm steeped in myth or one inspired by history, entrust your forearms to this pair. 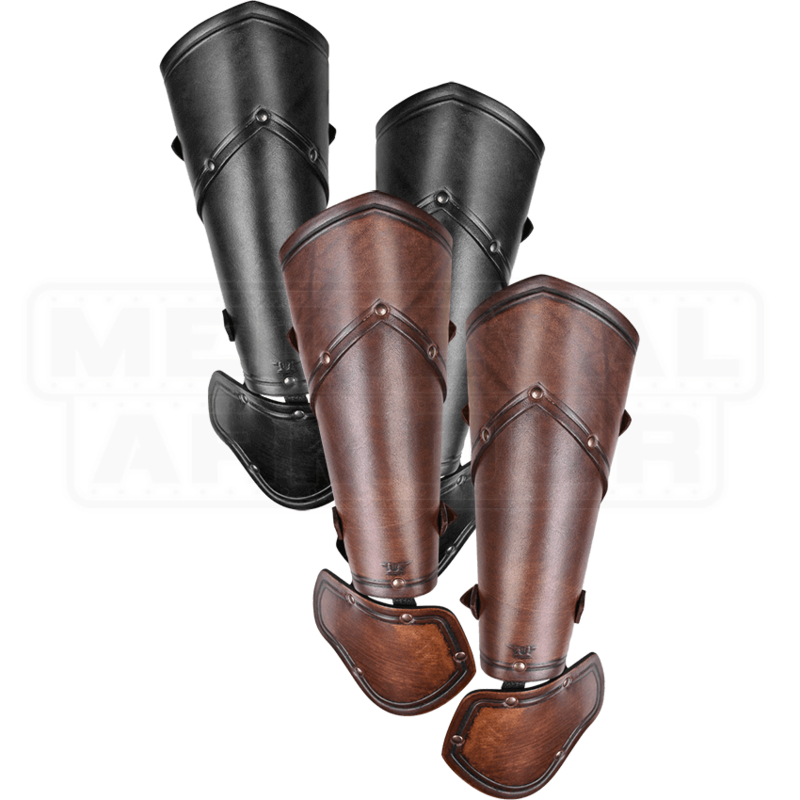 Handmade from high-quality leather, each bracer with demi-gauntlet possesses an antique patina finish. Embossed edging and rivets add extra detail and character. Rounded edges provide extra comfort when worn while the two buckle straps found on the inner side allow you to customize the fit. Get ready for another epic battle and create a warrior of your own design with the Sigfrid Leather Demi Gauntlets. Please be aware that the gauntlets are handmade from natural materials. There may be some color variation from what is shown here, as well as from gauntlet to straps.